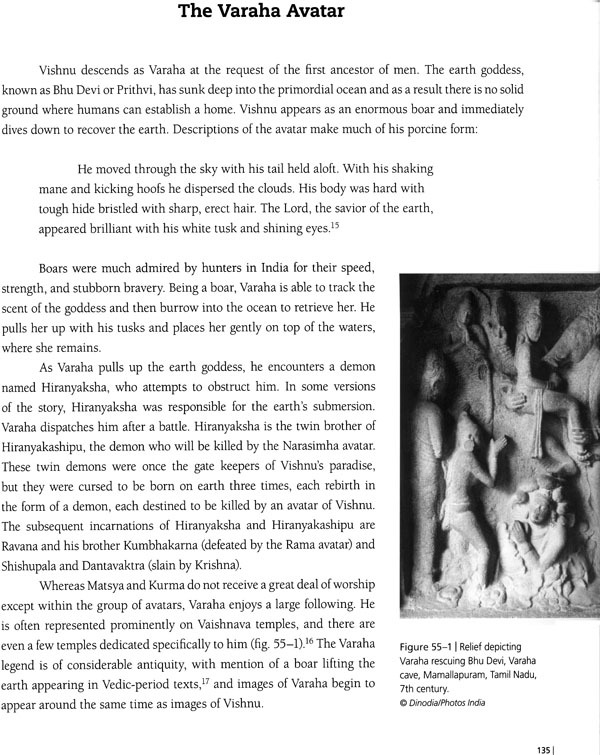 Vishnu-one of Hinduism’s most important and powerful deities – is the great Preserver, vanquishing those who seek to destroy the balance of the universe. For his followers he is also the creator and destroyer, the cause of all existence. His many traits are embodied in his impressive physical form, the weapons he carries, the goddesses who are his consorts, and the eagle Garuda, on whom he flies down from heaven. In Hindu legend, Vishnu descends to earth in many manifestations, known as avatars, to fight powerful demons and to save his devotees. The avatars range in form from Varaha the boar to Parashurama the Brahmin warrior, and in character from Narasimha the ferocious half-man half-lion, to Krishna the charismatic prince-cowherd. 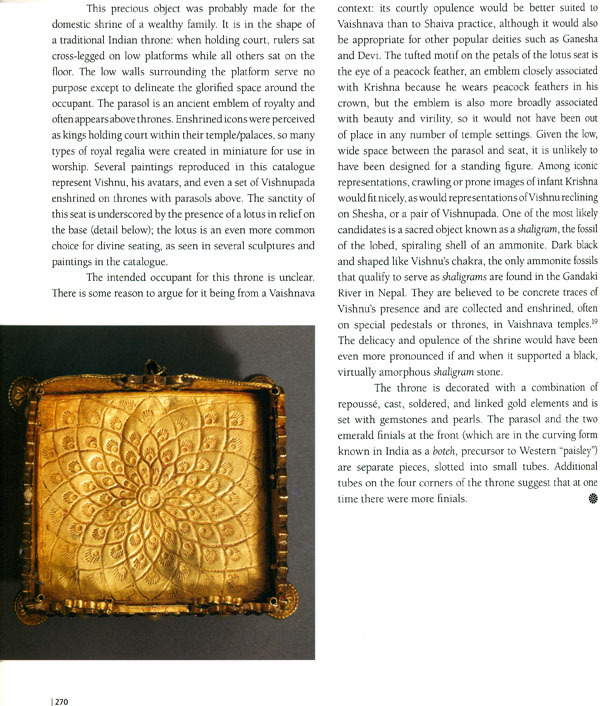 The legends of Vishnu have inspired some of the greatest art, literature, and ritual traditions in India. 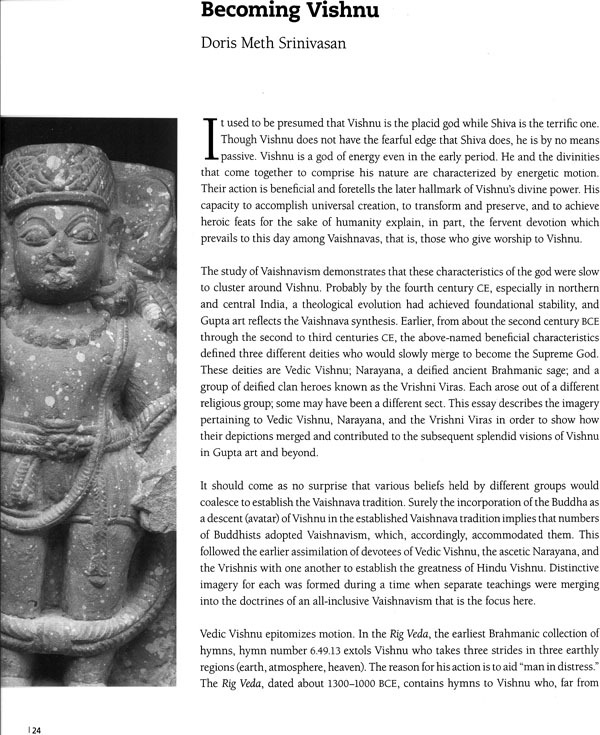 This catalogue examines the many faces of Vishnu and the ways that the god has been represented, from antiquity to the present. 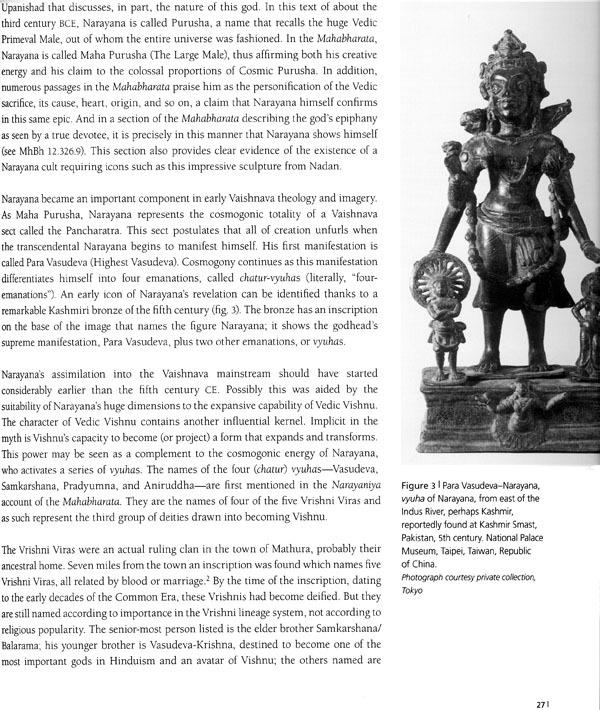 Essays by noted historians of South Asian art delve deeply into the regional and sectarian traditions of Vishnu worship in India. 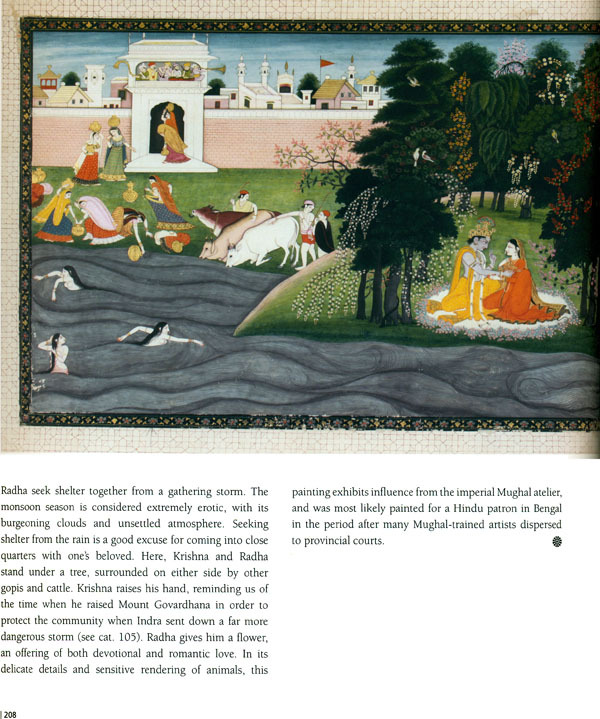 Illustrations and discussions of almost 200 works of art, in a wide range of media and borrowed from collections across the North Atlantic, reveal the rich diversity of India’s art and religious culture. Joan Cummins, the exhibitions’ curator and catalogue editor, is the Lisa and Bernard Selz Curator of Asian Art at the Brooklyn Museum. 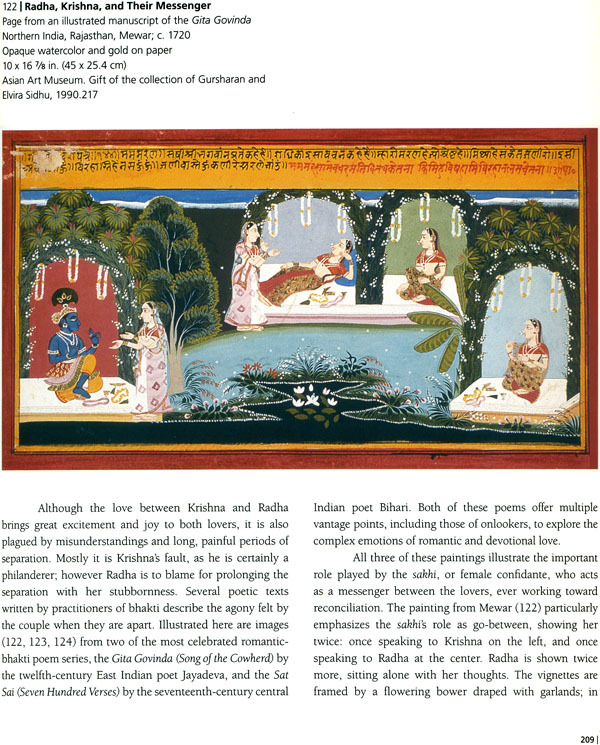 She is author of Indian Painting: From Cave Temples to the Colonial Period in the collection of the Museum of Fine Arts, Boston, and a coauthor of realms of Heroism. 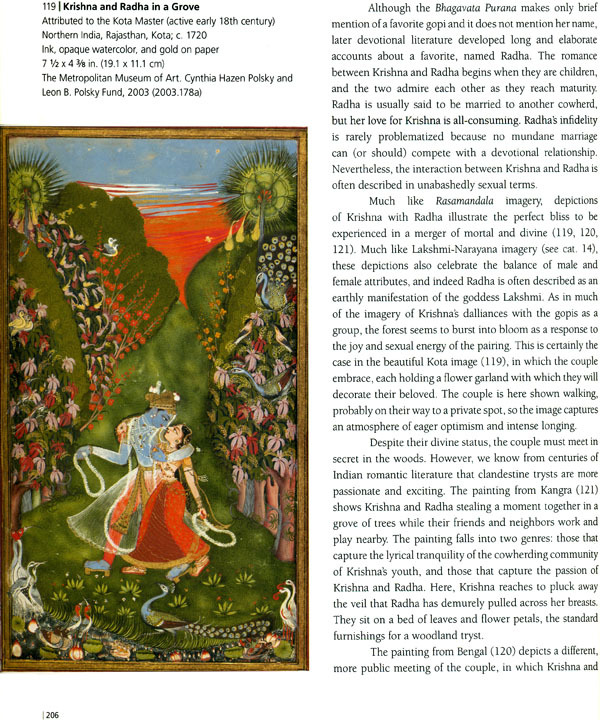 Indian Paintings at the Brooklyn Museum. Doris Meth Srinivasan is a scholar of Indian art and history who has published extensively on Hindu iconography and early religious art. She was recently a visiting scholar at the Center for Indian Studies, Stony Brook University. Leslie Orr is an Associate Professor in the Department of Religion at Concordia University, Montreal. 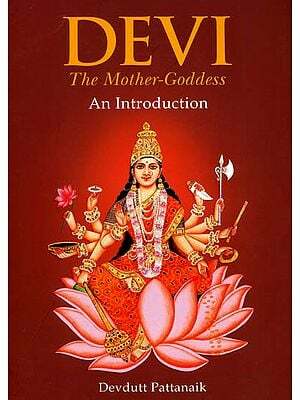 She has published widely on religion and women in south India, including the book Donors, Devotees and Daughters of God: Temple Women in Medieval Tamilnadu. Cynthia Packert is a Professor and the Chair of the Department of History of Art and Architecture at Middlebury College. 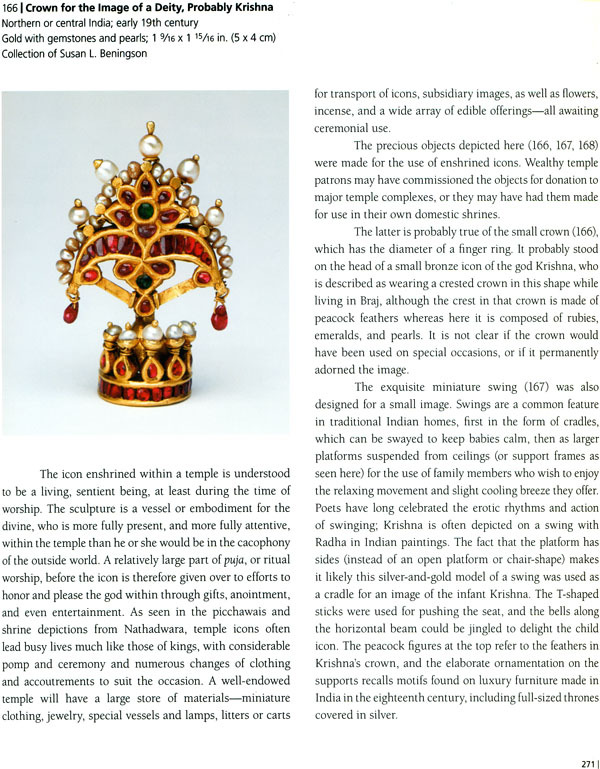 She has just published a book on The Art of Living Krishna: Ornamentation and Devotion. Neeraja Poddar is a doctoral candidate in the Department of Art History and Archaeology, Columbia University, New York City. Hinduism, with its mutable deities and overtly sensual art and artifacts, may be puzzling to the uninitiated American, but the investigation of its theology and its expressive visual culture is endlessly rewarding. In myth and legend, the figure of Vishnu, one of the three principal deities of Hinduism, takes many forms and is known by many names. There have been monographic exhibitions focusing on he deities Shiva and Devi, but Vishnu: Hinduism’s Blue-Skinned Savior is the first major exhibition in North America devoted to the intriguing and complex manifestations of Vishnu. The exhibition and the accompanying catalogue were conceived, organized, and coordinated for the First Center for the Visual Arts by guest curator Joan Cummins. We thank Nancy Cason, formerly on the curatorial staff at the First Center, for identifying and making the initial contact with Dr. Cummins, who started this project as an independent scholar and curator. In 2007, Joan Cummins was appointed the Lisa and Bernard Selz Curator of Asian Art at the Brooklyn Museum. 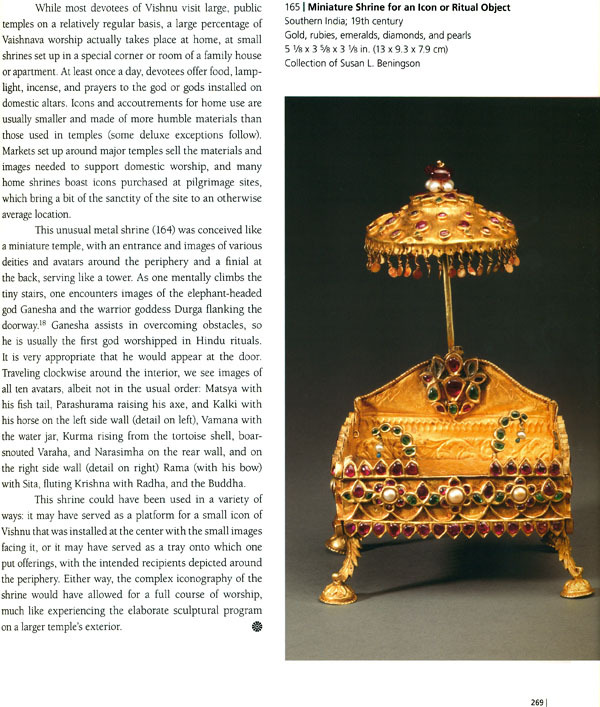 To assure the best possible exhibition and to develop a catalogue of unquestionable merit, Cummins called on her connections and her considerable reserve of good will among curators, scholars, and collectors of Indian and Southeast Asian art. Her ideas impressed museum professionals and scholars, inspiring them to respond to our requests with generosity and enthusiasm. As a result, the exhibition she assembled presents the most compelling South Asian examples of the art of Vishnu available for loan. 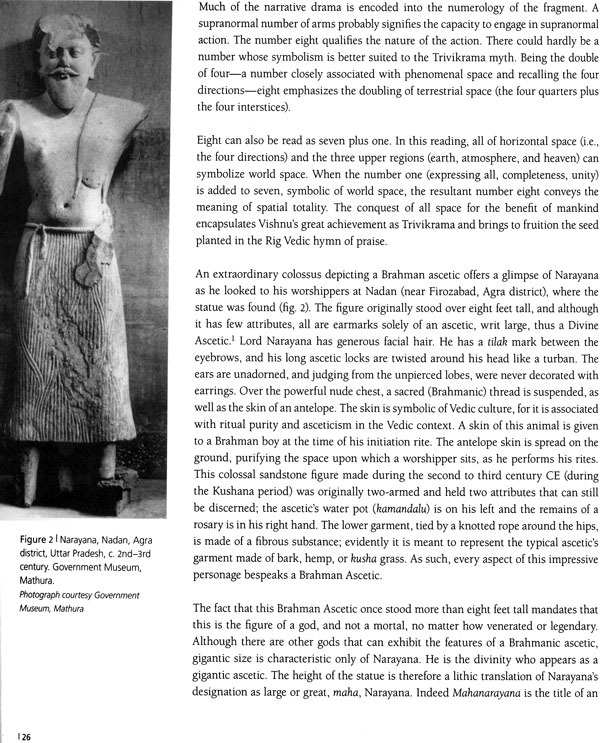 This book enhances the exhibition visitors’ experience and will reach a larger audience in a lasting document of the current scholarship on images of Vishnu as they are understood within the context of their creation. 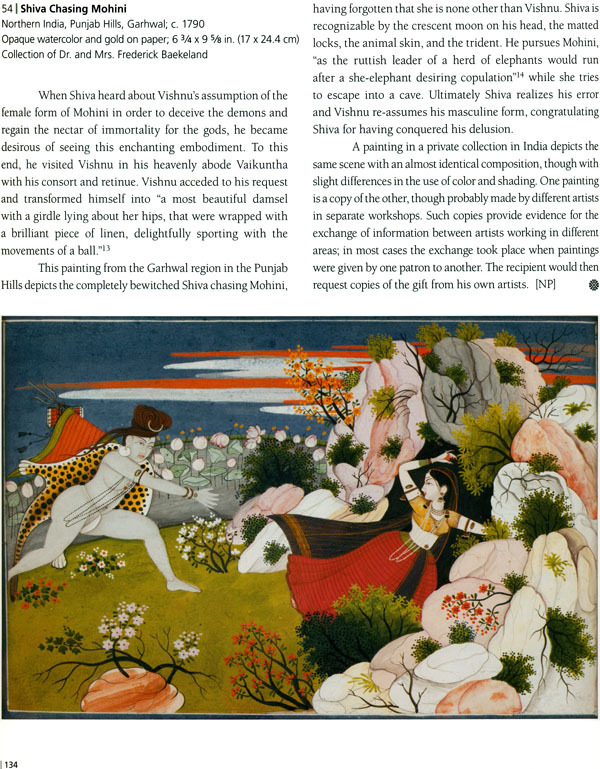 In her essay, Cummins draws from both the scriptures and the history of India to contextualize the roles and manifestations of Vishnu in Hinduism’s polytheistic pantheon. 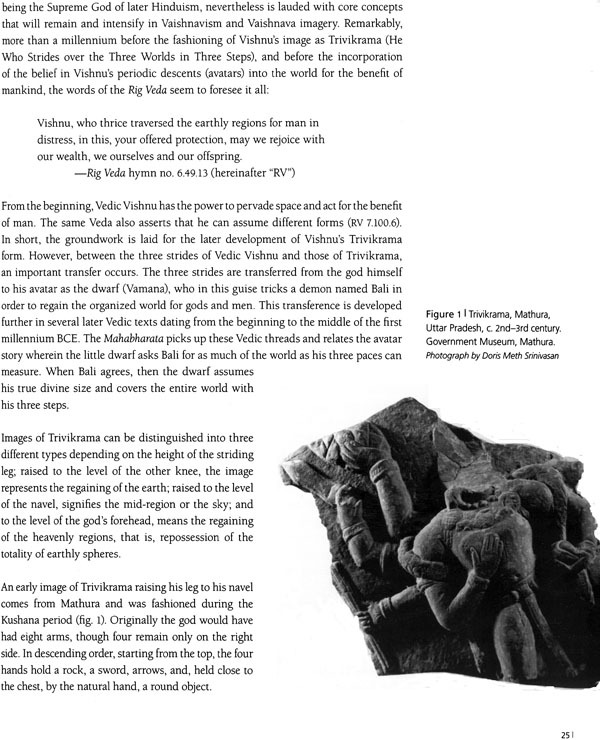 Independent scholar Doris Meth Srinivasan describes some of the earliest attributes and icons of Vishnu and explains how the merger of three deities into Vishnu during the formation of the Hindu sect of Vaishnavism informs many subsequent Vishnu images. Based on careful study of devotional poetry and sectarian literature, Leslie C. Orr. Associate professor of religion, Concordia University, Montreal, investigates the god in image form at the places sacred to him in Tamil country, in southern India’s modern state of Tamil Nadu. 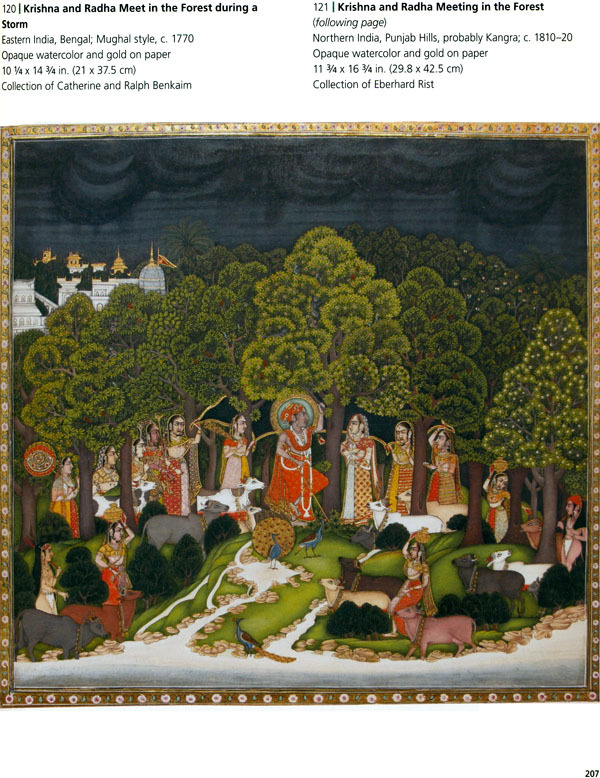 Cynthia Packert, professor of the history of art and architecture, Middlebury College, Vermont, demonstrates how Vishnu’s avatar Krishna continues to make his presence known in northern India through a multitude of varied forms, which are ultimately expressive of his one true reality. We would like to thank the essayists for their scholarship, and we would like to acknowledge the considerable contributions of Neeraja Poddar, who researched and wrote many of the entries for the catalogue. Joseph N. Newland brought considerable knowledge to the editorial process. We are grateful for his suggestions, corrections, thoroughness, and wit, all of which were well received. For his able assistance, we extend our gratitude to Bipin Shah of Mapin Publishing and to his colleagues in Ahmedabad for all of their attention to detail in the design and production of the catalogue. 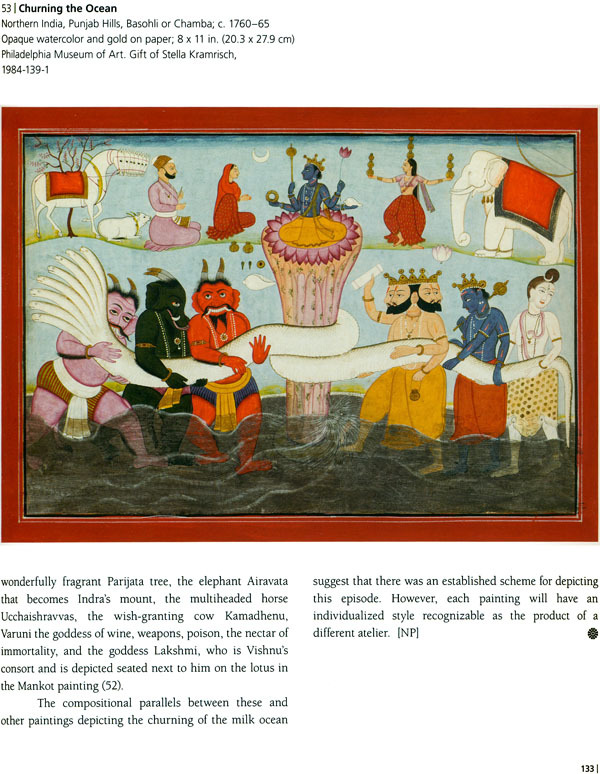 After closing in Nashville, Vishnu: Hinduism’s Blue-Skinned Savior travels to the Brooklyn Museum. We thank Arnold L. Lehman, director, and Charles Desmarais, deputy director, for their early interest and encouragement. We also gratefully acknowledge the assistance of Katie Apsey, curatorial assistant, and Rebecca Solverson, intern for Asian art. Frist Center staff members Katie Delmez, curator; Amie Germia, registrar, and Tabitha Griffith Loyal, curatorial assistant, deserve special recognition. Their dedication, steady nerves, and good humor kept a complex project on even keel throughout its development and execution. The success of the exhibition is due in no small part to the dedication of staff members and colleagues at both venues whose creativity has set the stage and interpreted the underpinning ideas of the exhibition. We thank them as well as those key staff members at institutions around the world who assisted with the myriad details of processing loans and providing materials for the catalogue. 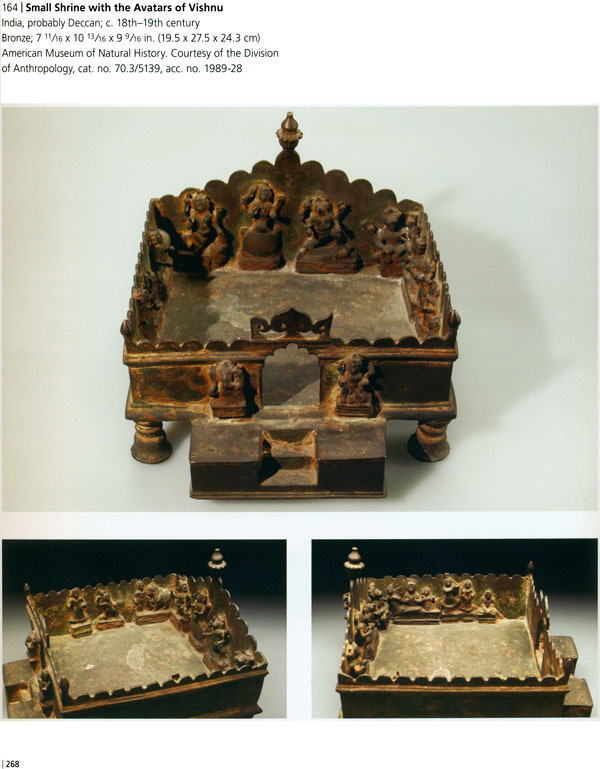 As the organizing institution for Vishnu: Hinduism’s Blue-Skinned Savior, the Frist Center for the Visual Arts is indebted to all of the lenders, public and private, who have parted with objects from their collections to make the exhibition and its national tour possible. We gratefully acknowledge the early and enthusiastic support of Billy Frist, chairman and president of the board of trustees of the Frist Center, Thomas F. Frist, chairman emeritus, and Kenneth L. Roberts, president emeritus, as well as the trustees of the Frist Foundation, We are especially grateful and honored to have been awarded a generous grant for this project by the National Endowment for the Arts. Joan Cummins gratefully acknowledges the support of john Eskenazi, Fabio Rossi, the Indian and Southeast Asian Art division of Christies, Brendan Lynch, and Carol and john Rutherfurd, Our greatest debt of gratitude is, of course, to Joan Cummins for her professionalism and for creating such an illuminating and important study of Vishnu.